This incident involved my fiance in April, 2011. To this day she refuses to talk about it, but I decided to submit it here to see what others can get out of it. We then lived in Bangor, Maine. It was around 10:30PM that evening. I was on a late shift at work and she was home alone with our cat in our apartment. She said she was reading while the cat was sleeping on her lap. All at once, the cat suddenly sat up and stared intently at the door leading outside. He then began mewling and scampered into the bedroom. He had never acted like that before so she assumed it was just another weird thing that cats did. Just as she got comfortable again, the doorbell rang. She thought it was strange that someone would want to visit at that time of night. She got up and peeked through the hole, but saw nothing. So she turned away from the door, when there were three loud knocks. She was immediately alarmed, but curiosity got the best of her and she cracked the door to see who was there. She saw a boy of around 11 or 12, though fairly short, standing there. She opened the door to ask what he wanted. She assumed that this child had either gotten locked out of another apartment or was asking for help. That's when he looked up at her, and she noticed his eyes. 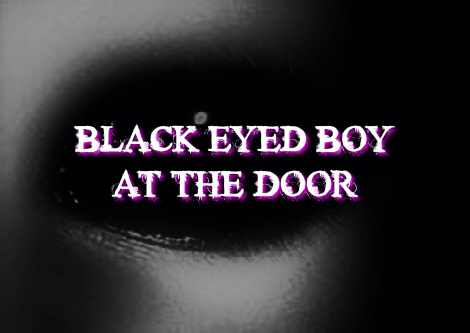 The light from the apartment spilled out into the hallway, affirming that his eyes were completely black. She said she was paralyzed with shock as the child asked to be let in. By that time, the cat had come out of the bedroom and laid on the floor behind her, ears folded back and hissing. She said she felt compelled to say 'yes' but as she stared into those coal black eyes she suddenly slammed the door and locked the deadbolt. She said she listened for the child's footsteps in the hallway, but she heard nothing. After several terrifying minutes, she peeked out the door and the child was gone - or disappeared. She said she had never been so scared in her life. She thought the cat hissing may have interrupted her paralysis, allowing her to regain her thoughts and quickly close the door. On this day the Kingdom of Poland survived the worst crisis as a result of a terrible conflict between the bishop Stanislaw of Szezepanowo who had been sentenced to death by King Boleslaw II the Generous for treason and executed on that same day. According to old chronicles; the skies opened themselves above the capital of Cracow and four eagles with a great sphere came down. The bishop’s body was then restored to one piece again; something the locals recognized as a miracle. People also saw strange things and lights in the sky on that day. Source: Robert K. Lesniakiewicz Type: F? A man was driving his horse cart across a bridge when a horrible black humanoid with huge shining eyes jumped out of the trees and landed on the horse’s back. He tried to push the creature off but it would not budge and the whip seemed to go through it. The horse panicked and went into a gallop with the creature clinging to it. The creature eventually disappeared and the man arrived at his home in a state of shock. Ashley Glawe ended up in the emergency room after her pet snake got stuck in a rather peculiar place. Glawe, who is from Oregon, claims that she had been playing with her pet ball python 'Bart' when the adventurous reptile slithered up to her ear and poked his head through her stretched earlobe. The snake quickly managed to get itself hopelessly stuck with Glawe unable to free him. "It all happened so fast that before I even knew what was going on it was already too late," she said.